Before you decide to go through with surgery, there are important things to consider first. If you don’t ask yourself the following key questions, it’s unlikely you’ve put the right amount of thought into the procedure. Have I Thought About Surgery For A Long Time? If you’ve only just thought about going through with this procedure, chances are you’ve decided to do it on a whim. You should have considered surgery at least for a while in order for it to be an option. If this is something you think about regularly, going to a consultation can give you far more clarity and an idea of whether it’s for you or not. Have I Considered All Of The Risks? There are many risks with having surgery, whatever kind you are considering. People think that they won’t happen to them, but they can happen to anybody. You need to think about them and consider them properly, as they could very well happen to you. Make sure you take in what you learn about the risks and find out as much as possible as you can. More people make cosmetic surgery claims than you realise, so find out why before going ahead. What Am I Expecting To Come Of This Surgery? Make sure your expectations of the surgery are realistic. If you’re expecting a little more confidence and self esteem, great. If you’re expecting the surgery to get you that promotion or a dream relationship, not so great. Your expectations need to be realistic. Have I Found The Right Place To Have Surgery? Finding the right place to have surgery is important. 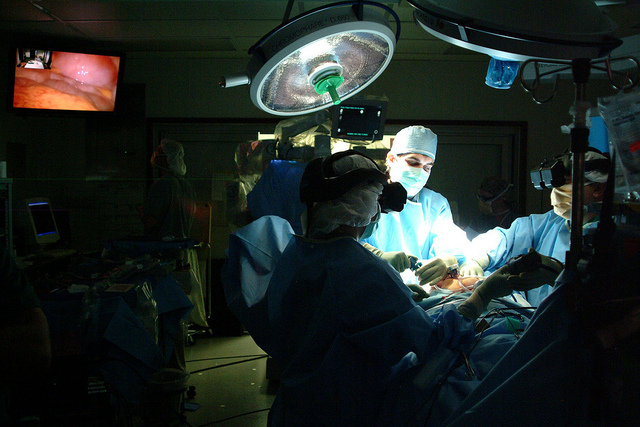 Not all surgeons are created equal, so extensive research of the clinic and surgeon is a must. Am I Prepared For Aftercare? You don’t just wake up from surgery and go on your merry way. There’s aftercare involved. Are you prepared to take this on board properly, so that you don’t have any problems with your surgery? Bear in mind that although proper aftercare can help healing, it doesn’t necessarily mean not experiencing any problems at all. Is There Anything I Can Do To Avoid Having Surgery? If you’re considering lipo, for instance, there are a number of things you can do to avoid having the surgery altogether. You can exercise and eat right for a start. The thing is, if you don’t explore ways to avoid having the surgery, you’ll still have the same body problems and eating habits once the surgery is complete. The results won’t last, or you’ll develop even more problems. That’s a fact. Try to find a more natural way of combating your problems. Start asking yourself these questions and you’ll gain more clarity on whether surgery is really for you or not. Getting to the very root of why you might want surgery in the first place is the key to finding whether it’s for you or not. In many cases, you’ll realise you don’t need surgery at all. The risks just aren’t worth it in most cases!